All New - 14 Day Professional Trial System with One-Click! 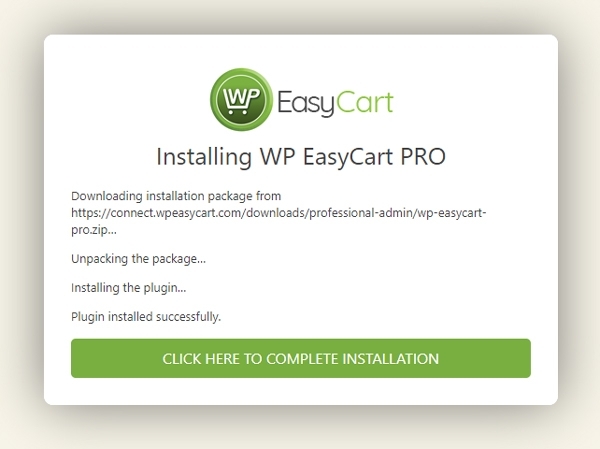 We have simplified our Professional 14 day trial installation to One-Click, and it is now easier than ever to setup EasyCart! We are please to release an all new automated Trial installation system. we now have a One-Click installation path to our PRO Trial and PRO/Premium licensed editions. 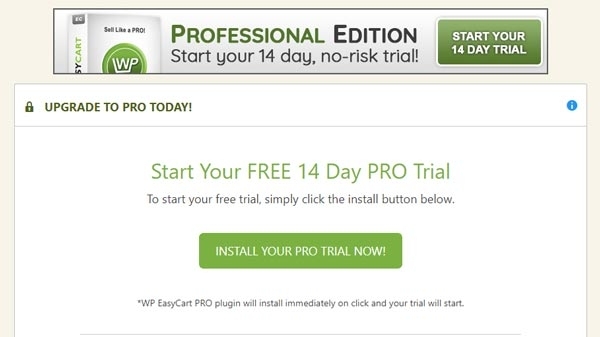 If you are running the FREE edition and always wanted to try the PRO edition, we have an instant 14 day trial that will install right into WordPress for you! No need to download an extra plugin, enter license keys, or struggle installing extra software! BE SURE TO UPGRADE YOUR PLUGIN! It's simple, grab our latest updated plugin, then look for any of our Trial banners. 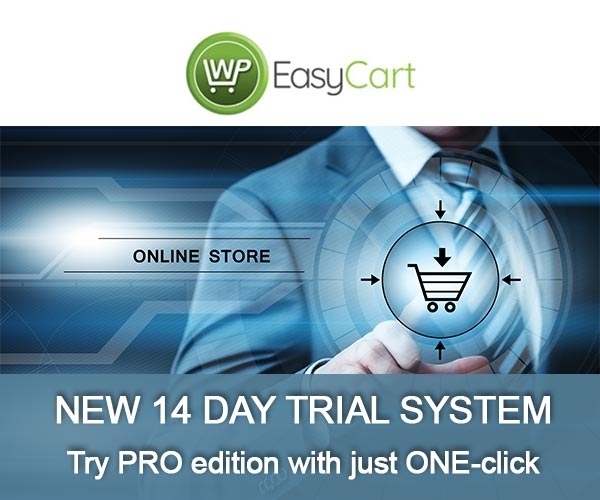 Click on any of these banners and EasyCart will automatically download and install our 14 day trial, risk-free, no strings attached! We think you will love having the PRO or Premium edition! Once you start the installation process, it will take a second to download, install, and then activate your 14 day risk-free trial! 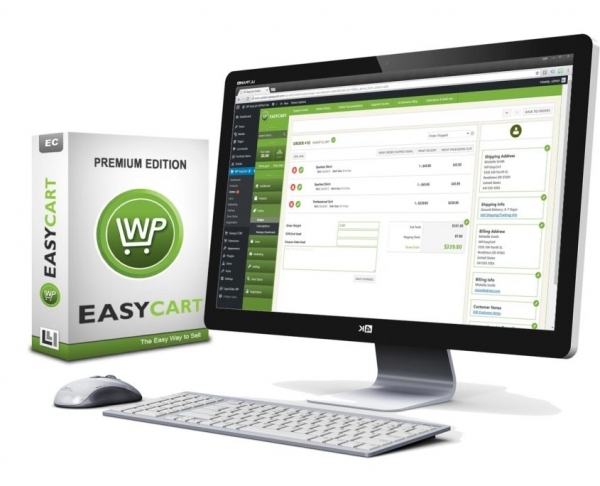 If at anytime you have questions or trouble, simply chat with us on our website at www.wpeasycart.com. COMPARE EASYCART FREE, PRO, & PREMIUM! We simplified this process too! 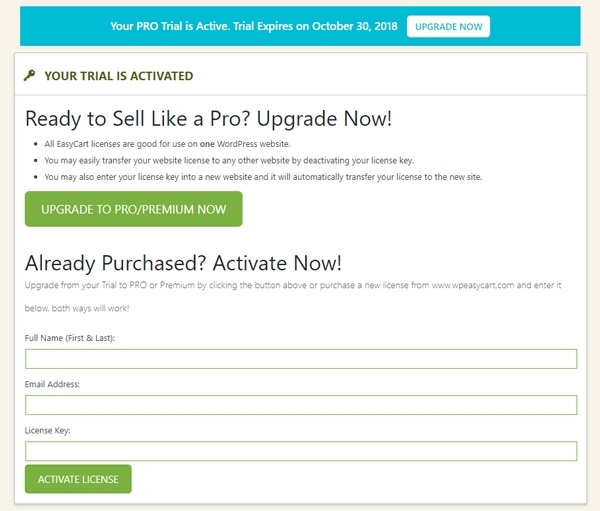 Just go to your WP EasyCart -> registration page and 'Upgrade to Pro/Premium' and you can automatically have your trial turned into a fully licensed eCommerce powerhouse! No need to download any extra plugins (unless you want to!) or activate any software (unless you want to!). We make it easy to try our FREE edition, explore PRO with our 14 day trial, and upgrade to PRO or Premium anytime you like! UPDATE TO LATEST PLUGIN TO GET STARTED!